Guest Post by Larry Feldman, a licensed site professional with GZA GeoEnvironmental, Inc. Reprinted with permission from the Worcester Business Journal. In the early 1990s, a coalition of environmental advocates, bankers, developers, lawyers, regulators and environmental consultants in Massachusetts came together to develop a new approach to address contaminated properties. The outcome of this unique alliance was the privatization of the state’s hazardous waste site cleanup program. By licensing appropriately trained and experienced consultants — licensed site professionals — to manage the cleanup of “brownfield” sites, the Commonwealth removed the regulatory and staffing roadblocks that were hindering the remediation and productive reuse of these properties. 2013 marked the 20th anniversary of the implementation of the program, which ushered in an era in which the reuse of urban brownfield sites could be competitive with the development of suburban “greenfield” sites. The implementation of use-dependent cleanup standards and clear endpoints allowed lenders, developers and businesses to approach the redevelopment of these sites with more certainty. Between 1985 and September 1993, before the program was implemented, approximately 100 sites were being processed and made available for reuse each year. But since implementation, that number has soared to 1,800. Today the number of sites processed and exiting the system for reuse exceeds the number of new sites being reported. Former manufacturing centers such as Worcester saw new life as historically industrial properties once occupied by such companies as U.S. Steel, Norton, Rice Barton and Crompton & Knowles were remediated and returned to commerce, converted to housing, or developed for community use. Of the 1,345 Worcester sites on the commonwealth’s list, approximately 1,100 meet state public health and environmental standards, and are already redeveloped or available for reuse. The impact of the innovative cleanup program has also been felt beyond the Gateway cities. In Westborough, for example, Bay State Commons, a 56-acre retail and residential complex, replaced a former abrasives manufacturer that closed in 2002. The former Fisherville Mill site in Grafton is wrapping up an extensive remediation program and, in 2012, was listed by Sotheby’s International Realty for mixed-use redevelopment. The former Whitin Mill in Whitinsville is now home to Alternatives Unlimited, and the former American Optical facility in Southbridge has been given new life as a conference center and business cluster. In all, over 30,000 blighted sites have been put back into productive use. But even with the success of the privatized program, redeveloping a contaminated property can be challenging. Developers routinely tap into a comprehensive toolbox of programs and financial incentives to increase the financial viability of brownfields projects. The Brownfields Tax Credit program, the Brownfields Redevelopment Fund, and a state-subsidized insurance program are all critical resources that help facilitate development on contaminated properties, and it is important that the Legislature continue to fund them. These programs are critical to brownfields redevelopment, indeed to the Commonwealth’s economic development, and must be continued. The unlikely alliance of adversarial interests some 20 years ago has paid off in grand fashion with the commonwealth remediating more sites, more effectively and more quickly, than any other state. That’s good news for environmental advocates, community-development organizations, developers and businesses. To ensure this vital work continues, these same constituencies must continue to work together and advocate for the tools necessary for Massachusetts to remain a national leader in the cleanup and reuse of contaminated properties. About Larry Feldman and GZA GeoEnvironmental: GZA GeoEnvironmental, Inc. is a premier multi-disciplined consulting firm providing its clients with a wide range of geotechnical engineering, environmental consulting and remediation services. GZA employs approximately 535 engineers, scientists and technical support staff in 25 offices in the United States. Larry, who joined GZA in 1979, specializes in the assessment and remediation of sites contaminated by oil and/or hazardous material, and on providing litigation support in cases involving such sites. He has written and spoken often on a variety of environmental issues, including the redevelopment of urban sites and the relevance of site assessments to the legal and real estate communities. 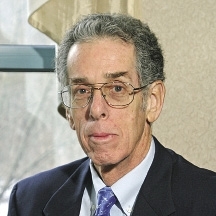 Larry was instrumental in the creation of the Commonwealth’s privatized cleanup program in 1993, and was an integral part of the committee that established the regulations and guidelines governing the first-in-the-nation privatized system. He was an original member of the LSP Board of Registration, which licenses environmental consultants and disciplines those who violate the standards of the profession, and is also a founding member of the LSPA. He served on the organization’s board from 2004 to 2008, including a term as president. This past year he was awarded the LSPA’s first lifetime achievement award. Larry received a Bachelor of Arts degree in geology from Wesleyan University, an M.A. in geology from Harvard, and his Ph.D. in geology from Boston University. This entry was posted in Economic Development, Environmental, Hazardous Materials and tagged Brownfields, David McCay, GZA, Larry Feldman, LSP, Massachusetts Contingency Plan, MassDEP, MCP. Bookmark the permalink.